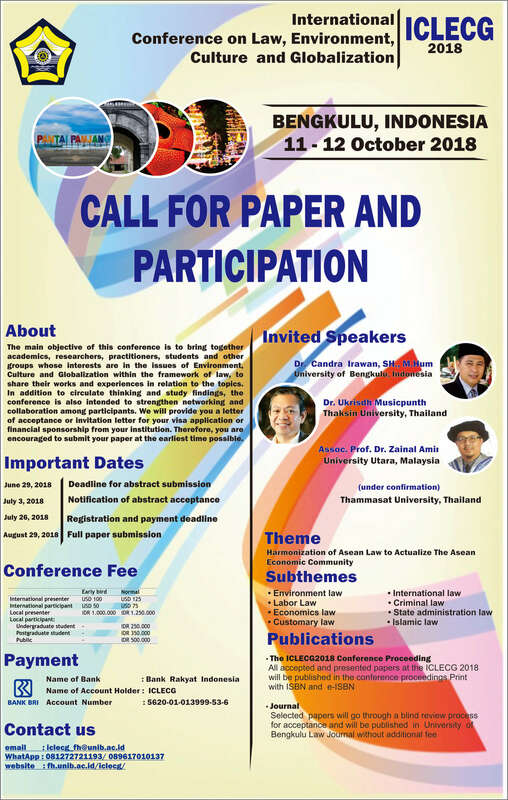 The main objective of this conference is to bring together academics, researchers, practitioners, students and other groups whose interests are in the issues of Environment, Culture and Globalization within the framework of law, to share their works and experiences in relation to the topics. In addition to circulate thinking and study findings, the conference is also intended to strengthen networking and collaboration among participants. We will provide you a letter of acceptance or invitation letter for your visa application or financial sponsorship from your institution. Therefore, you are encouraged to submit your paper at the earliest time possible. All accepted and presented papers at the ICLECG 2018 will be published in the conference proceedings Print with ISBN and e-ISBN. 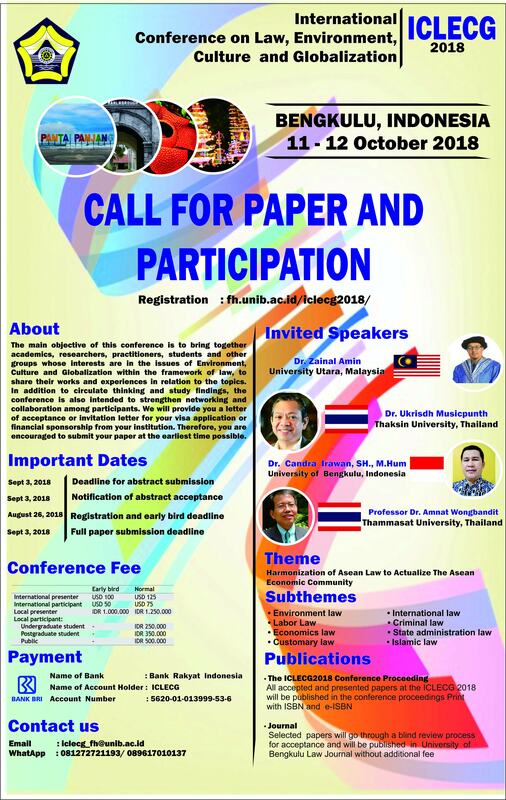 Selected papers will go through a blind review process for acceptance and will be published in University of Bengkulu Law Journal without additional fee.